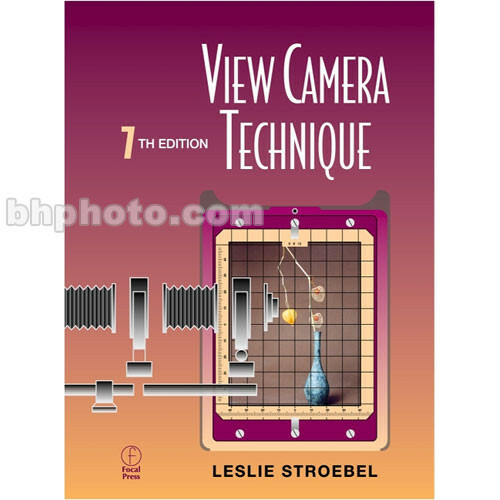 Now in its seventh edition, View Camera Technique is a unique, comprehensive book that presents clearly and precisely the features, operations and applications of view cameras. It details camera movements, image formation, exposure control, and information concerning lenses and accessories. Diagrams, comparison charts, and more than 500 photographs and illustrations by distinguished professional photographers provide the reader with the tools necessary to analyze a picture situation, set up and manipulate the camera, and portray the subject to meet the expectations of the professional photographer. This text has been completely revised and updated to include over 100 brand-name view cameras, and offers comparison tables to assist readers in choosing cameras, lenses, and view-camera digital backs. This latest edition offers expanded coverage of the newest technology, including electronic features that simplify the use of view cameras for conventional photography and digital view cameras that eliminate the need for film and make it possible to modify the digital images with image-processing computer software programs. Box Dimensions (LxWxH) 11.0 x 8.7 x 1.0"